Aphex Twin live sets are few and far between, with each event gaining quite a bit of hype from die-hard fans. Earlier this week, the enigmatic producer performed in Brooklyn, and last night, Richard D. James performed at the Coachella Valley Music and Arts Festival, marking his first DJ set at the festival in over a decade. As Pitchfork points out, one attendee uploaded video footage of most of the set to YouTube, where fans at home can catch the skull-shaking performance. 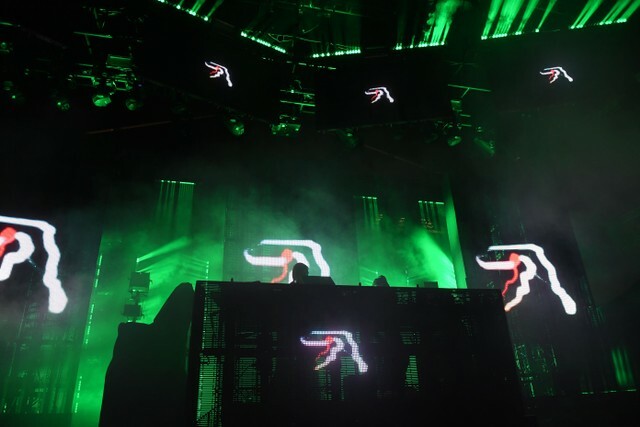 Aphex Twin’s latest release—titled Collapse EP—dropped last year following a series of cryptic teasers that appeared around the world. In December, the producer released three new songs from his Drukqs sessions to be included on an updated tracklist for the album. Watch clips of his 2019 Coachella performance below.